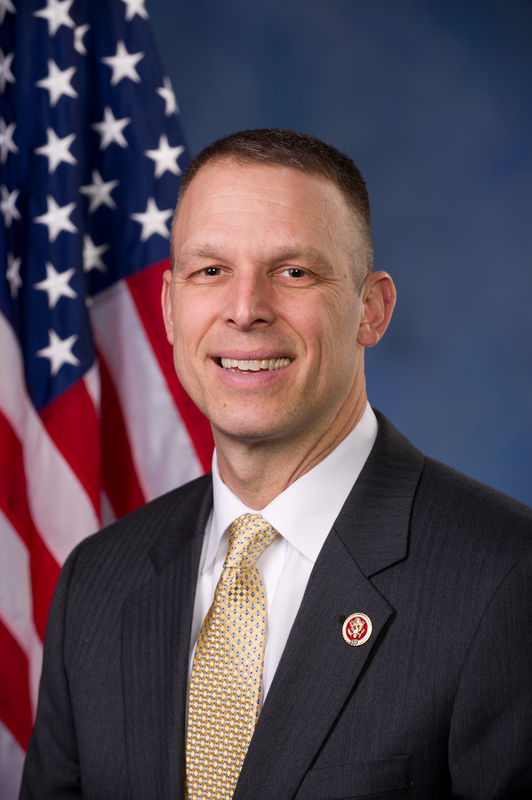 Rep. Perry has represented the 4th Congressional District since 2013, and prior to holding the seat, he represented the 92nd district in the Pennsylvania House of Representatives from 2007 until 2013. His career of service to the state of Pennsylvania and to the American people, however, began long before he was elected to public office. In 1980, he began his military career as an enlistee in the Pennsylvania Army National Guard. He advanced through the ranks, served in Iraq for Operation Iraqi Freedom, and after his return from Iraq he was promoted to colonel. Rep. Perry has continued his service to his home state and his country in Washington, where he confidently stands up for policies that protect taxpayers and carries through on principles that the Republican party has consistently championed in its rhetoric, but failed to follow through on. He holds a lifetime 94 percent score with FreedomWorks and has scored a perfect 100 percent the most recent three calendar years, including thus far in 2018. Rep. Perry has been a fierce critic of the overreach of the government into the environmental sector, recognizing the burden it puts on states and businesses without any public safety benefit. As such, he has introduced and reintroduced the Energy Sovereignty Act, which would prohibit the Environmental Protection Agency (EPA) from requiring states to eliminate air pollution that is deemed to endanger public health in other countries. He also has offered and secured votes on many amendments to bills in order to reduce the burden of government regulation in the environment. Amendments he has championed include prohibiting the use of funds to carry out numerous Obama-era agency regulations, striking needless reporting requirements for the military on climate change, and reducing the overall budget for the EPA. In addition to criticizing and taking action against government regulatory overreach, Rep. Perry fights against the fiscal irresponsibility that has plagued Washington for decades. In addition to voting against wasteful spending both in the form of flat out opposing behemoth omnibus spending bills and in supporting good amendments to cut spending from particular agencies and operations of the government. He also has his own balanced budget amendment to the Constitution, H.J.Res. 18, that FreedomWorks noted as one of the strongest among the dozen or so currently introduced in this Congress. His amendment would require -- unlike the weak, just-for-show balanced budget amendment voted on by the House earlier this year -- a high supermajority threshold to waive the provisions of the amendment and two measures by which to cap total federal outlays and ensure fiscal responsibility. As our national debt spirals increasingly out of control and the government continues to put its hand into every sector of our lives, it is critical to have true champions of liberty in the House like Rep. Scott Perry. There is much work to be done by conservatives to push back on the heavy burden of government involvement and misbehavior, and Rep. Perry is always up for the fight. He has proven over and over in his votes and his legislation that he stands for the rights of Americans. FreedomWorks is proud to honor Rep. Scott Perry (R-Pa.) as September’s member of the month. On behalf of our more than 5 million activists across the country, we sincerely thank him for working each day to ensure that our Constitution and our country always stand for the best interest of Americans as well. If you are interested to give command to your system then come here on this site http://commandpromptwindows10.com and and give the command to your system for the any task.